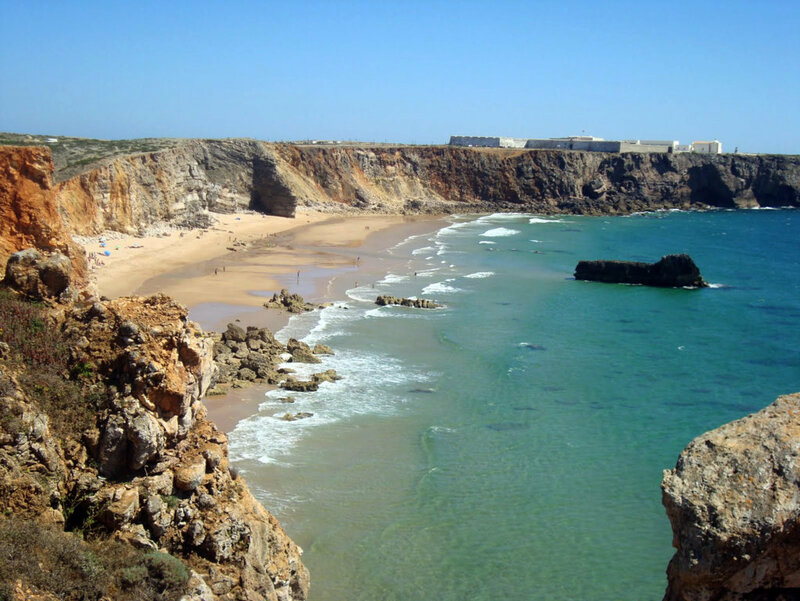 Praia do Tonel is a beach near Sagres. The waves can get quite big here, which makes the beach very popular among surfers. Are you interested to see what a surfer’s paradise looks like? Then watch the short video below. 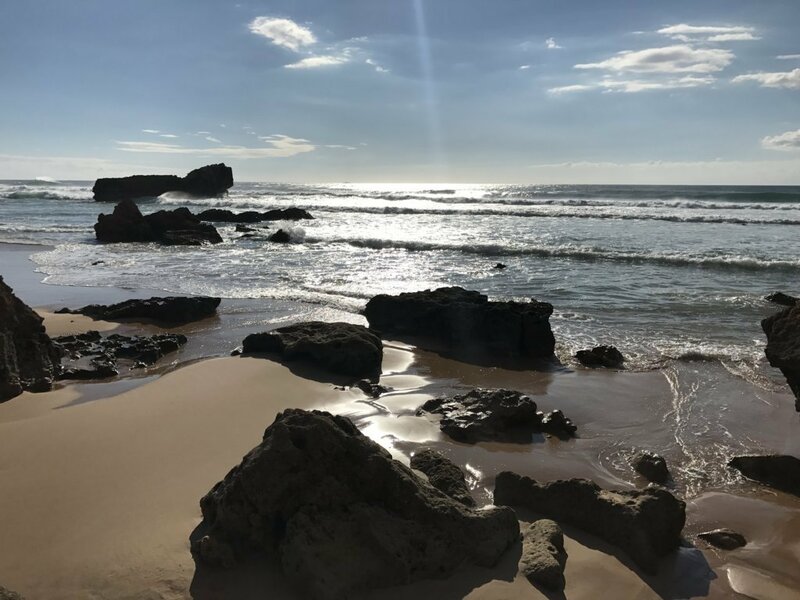 Praia do Tonel has a very wild and remote feel. Visiting this beach is a very unique experience. The sand on Praia do Tonel is soft and the beach is clean. However, near the entrance of the beach you can see many small pebbles and stones. The sea water here can be quite cold, especially during the winter. Also be careful if you go swimming: the waves can be rough and the current can be quite strong. Do not swim here if you are not an experienced swimmer. Also, this beach is not recommended for families with children. When swimming here, watch out for rocks in the water, especially on the right side of the beach. There is a big difference between high and low tide on this beach. During high tide, the beach is very small and there is almost no space to sit down. During low tide, there is plenty of space. 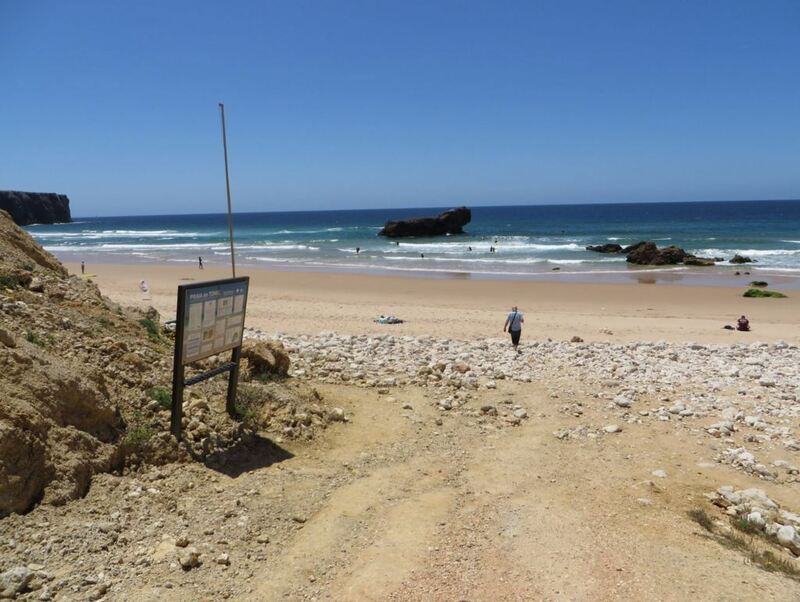 One advantage of Praia do Tonel is that it does not get very crowded, even during summer. 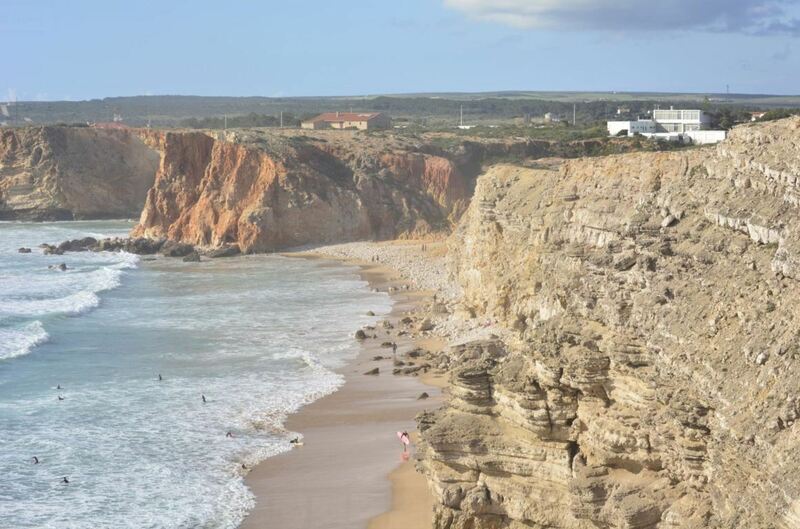 Praia do Tonel is surrounded by beautiful cliffs, which gives visitors an impressive view. The cliffs form a shelter around the beach and thus provide protection from the wind. As a result, there is not a lot of wind on this beach. Don’t rely on the cliffs for shade. It is dangerous to stay underneath these cliffs. You can see evidence of fallen rocks all around you on this beach. Make sure to bring your own parasol and suncream, since the sun can be strong in the summer. 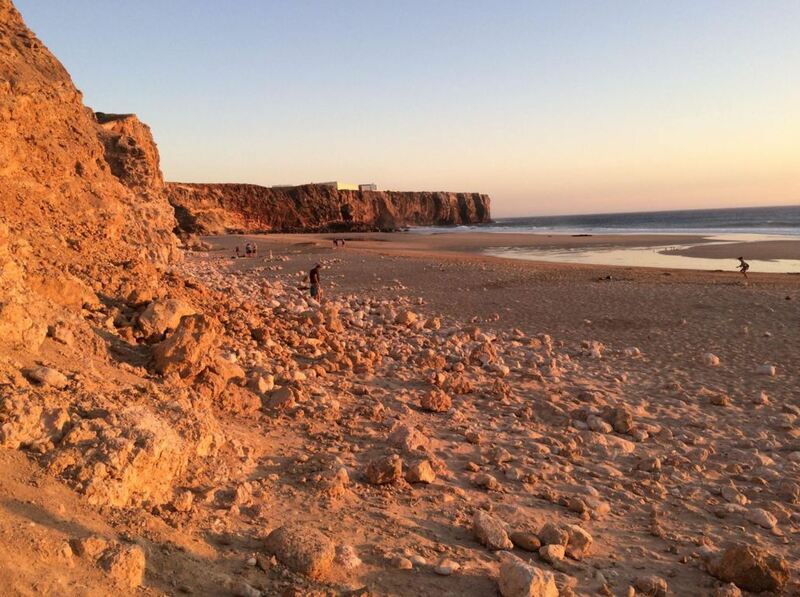 On the left side of the beach, you can see the white walls of the fortress of Sagres. 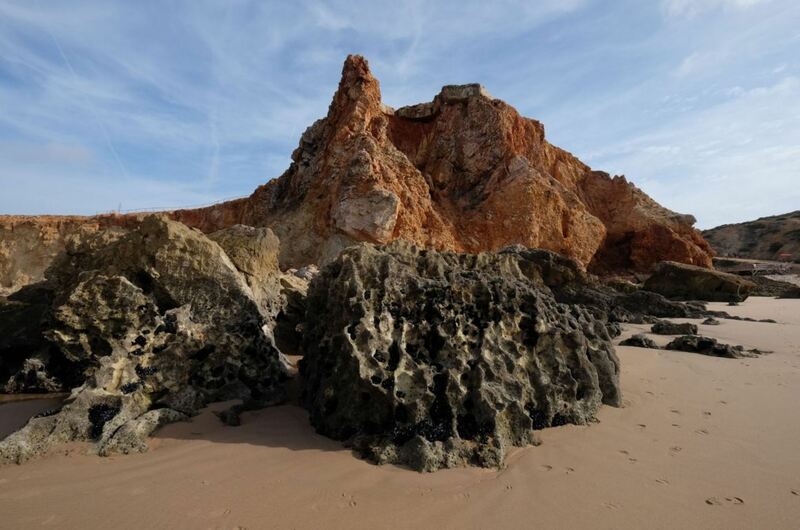 When walking on Praia do Tonel, you will encounter some amazing rock formations. When visiting Praia do Tonel, don’t miss the sunset. The sunset is great from the top of the cliffs. However, take a jacket when watching the sunset, since it can be quite windy and cold on top of the cliffs. Praia do Tonel is characterized by a big rock in the water, which kind of looks like a lion or a submarine, depending on the angle. Praia do Tonel is a popular beach among surfers. 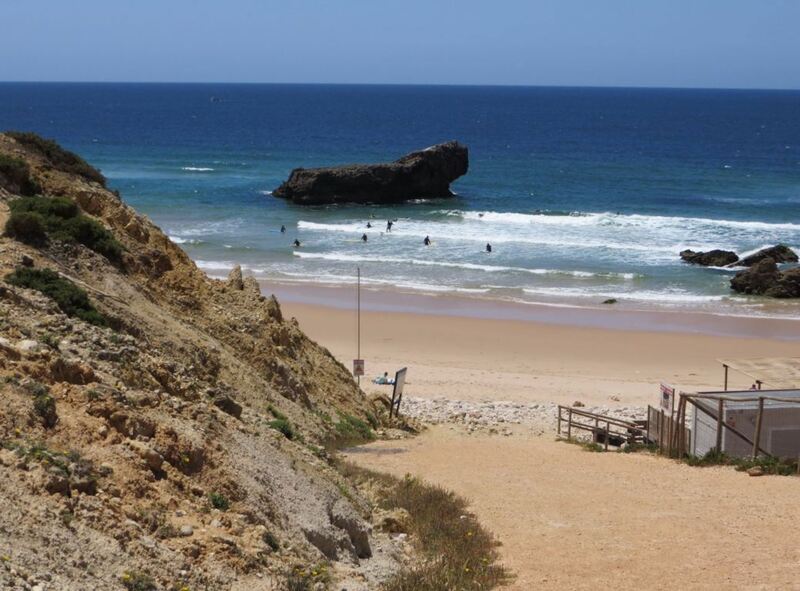 In fact, the beach is a favourite among several surf schools in Sagres. 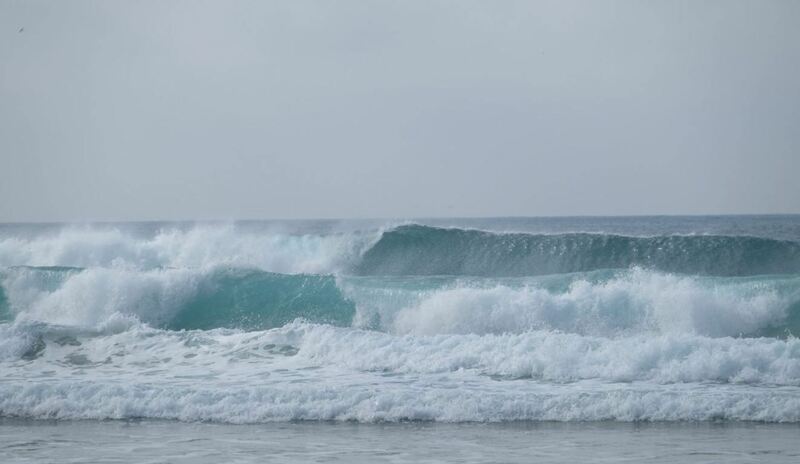 The sea has great conditions for surfing here, as the waves can get quite big. In summer, the waves are smaller than in the winter. That is why surfing here in the summer is nice for beginners. In the winter, the waves are extra rough and big. 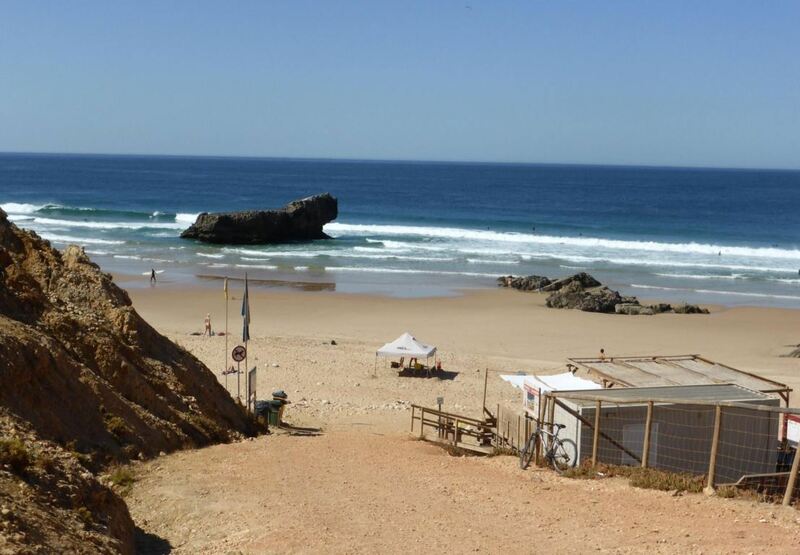 Experienced surfers really love to come to Praia do Tonel in the winter. In the winter, beginners can better go to another beach. So depending on your skill level, the best time to surf here can be either in the summer or in the winter. There is a surf school right on the beach, which rents out all the equipment you need, including surf boards and wetsuits. 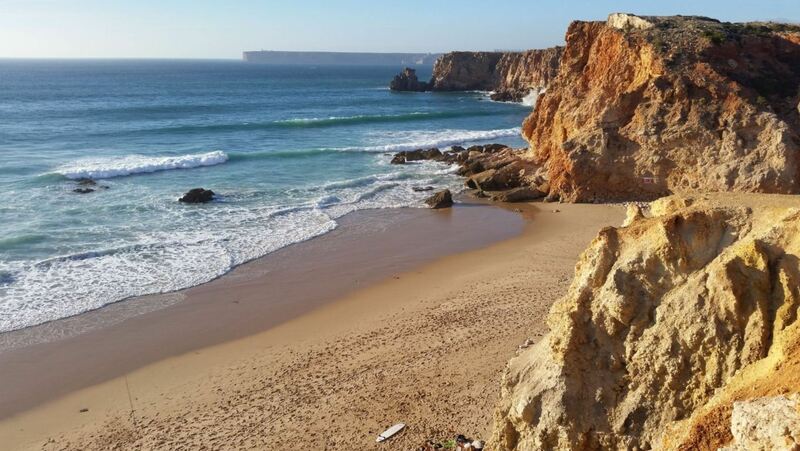 The cliffs surrounding the beach make sure you don’t forget this surf experience. Windsurfing is also good on this beach. There is a small beach bar near the entrance. Here you can get snacks, sandwiches, burgers and cold drinks. This can be very refreshing after intensive surfing. 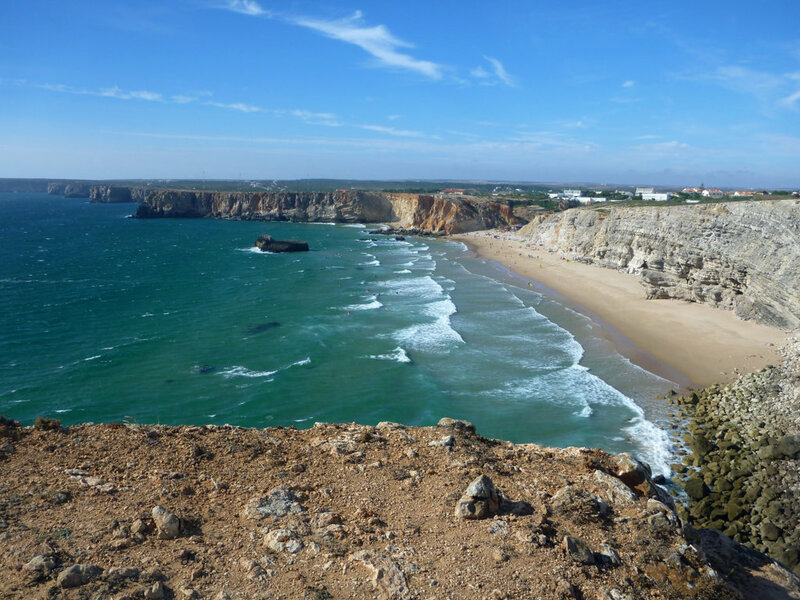 To get to Praia do Tonel, head towards the fortress of Sagres, which is well signposted. The name of the road is N268-2. Just before reaching the fortress, you will see a sign indicating Praia do Tonel. There is a car park just behind the beach. 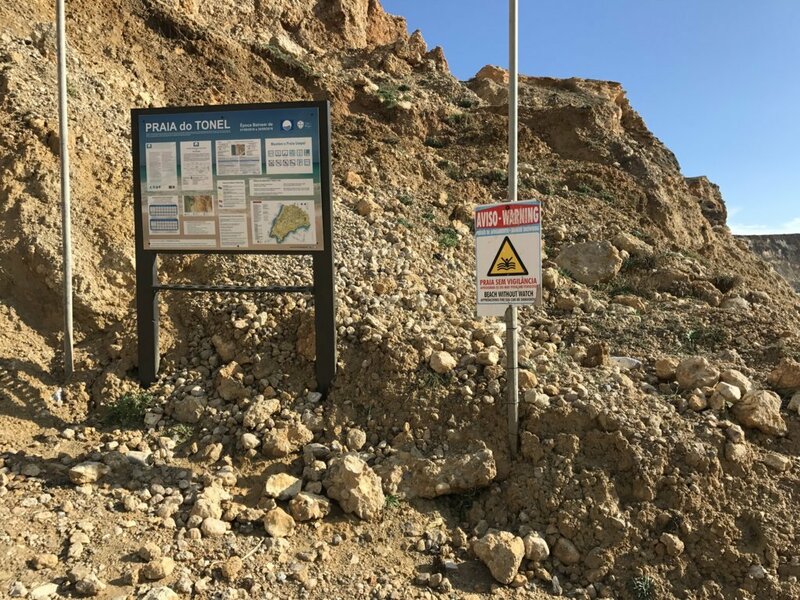 Parking is free in Sagres. Another option to park your car is near the fortress of Sagres, which is about 300 metres from the beach. The car park there is much bigger and you will always find a parking spot there. From there, it is only a short walk to the beach. Access to the beach is via a man-made ramp through the rocks. Retiro do Pescador. 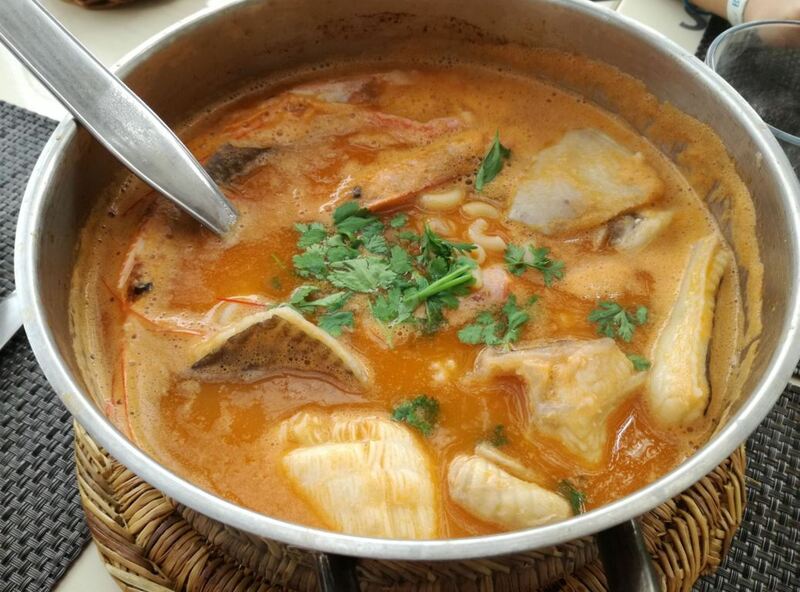 They have great fresh fish and local dishes. The service is good. A Sagres. They serve all kinds of food, but all of it tastes amazing. From burgers to pasta to fresh fish. The service makes this place unique. Babugem. This restaurant serves nice fresh seafood in a pleasant setting. The prawns are excellent here. All three of these restaurants have a TripAdvisor certificate of excellence. Mareta View Boutique Bed & Breakfast. This modern 4 star bed & breakfast has a nice garden with tropical trees and a hot tub. 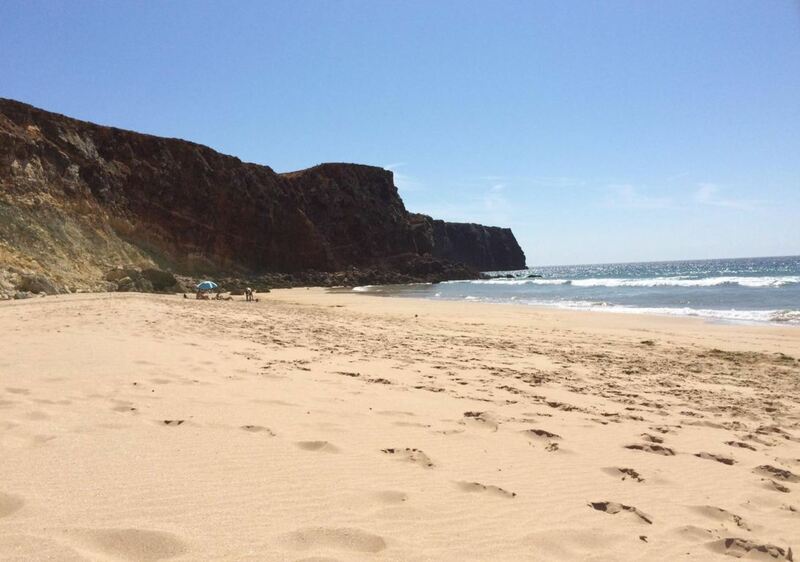 The perfect place to relax and enjoy your holiday in Sagres. Cercas Velhas. This cosy guest house has everything you need for a great stay in Sagres. 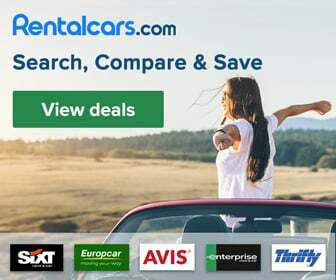 You can also rent a bike or car here. Highly rated. Tonel Apartamentos Turisticos. These apartments are only a short walking distance from Praia do Tonel. They have everything that you would expect from an apartment. They even have a laundry service. 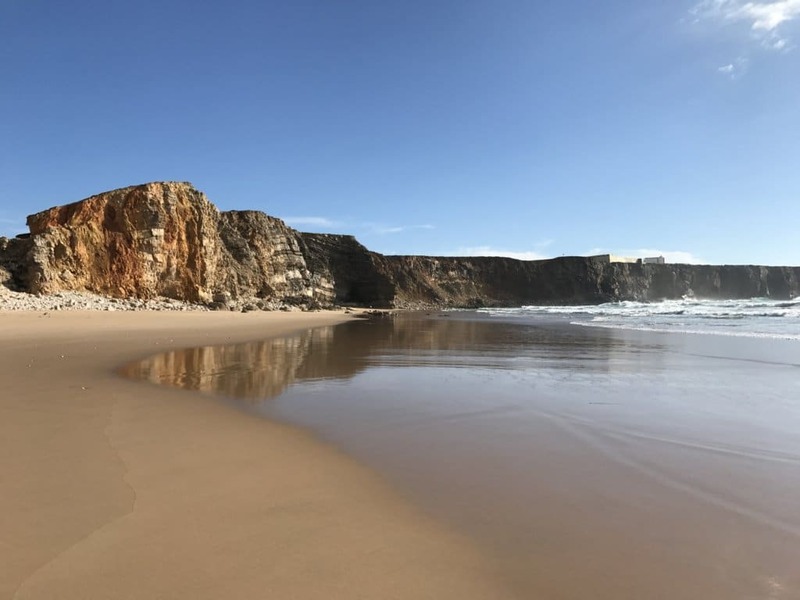 Visiting Sagres is one of the most unique experiences you can have in the Algarve. However, there is so much more to see in the region. 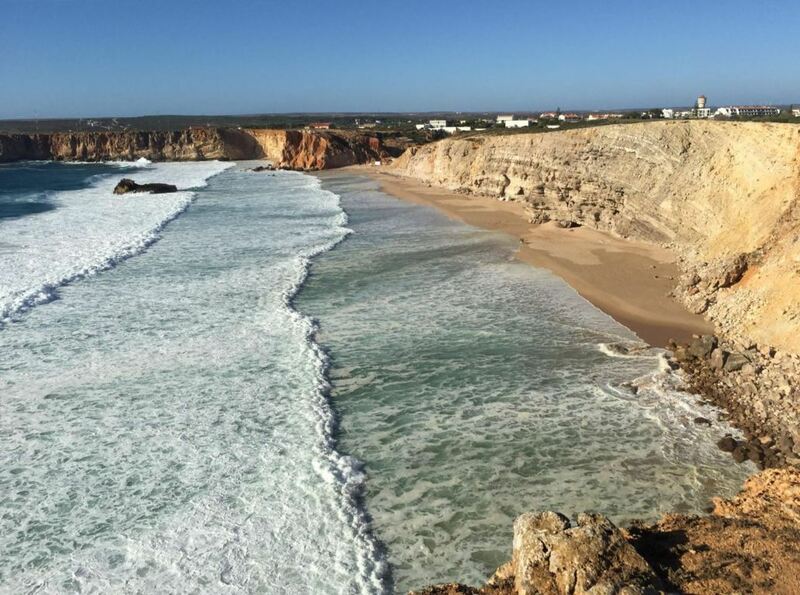 When you are in Sagres, we recommend that you explore the westcoast (Costa Vicentina) for at least one day. If you don’t know where to go or start, a guide can help you discover the best places and tell you all about them. Below you can find our favourite excursions in the area. The main attraction of this beach are the surfing conditions. There is also a surfing school near the beach, which offers courses for beginners and rents out surfing equipment. Also other water sports can be practised here, especially windsurfing, kiting and diving. There is a small beach bar on Praia do Tonel. There are no sunbeds to rent here, so make sure to bring your own parasol. During summer, the beach is supervised by lifeguards.